The Midwest leg of the Joe Hill Roadshow has finished, drawing sell-out crowds at some venues and bringing Joe Hill’s music to several cities. 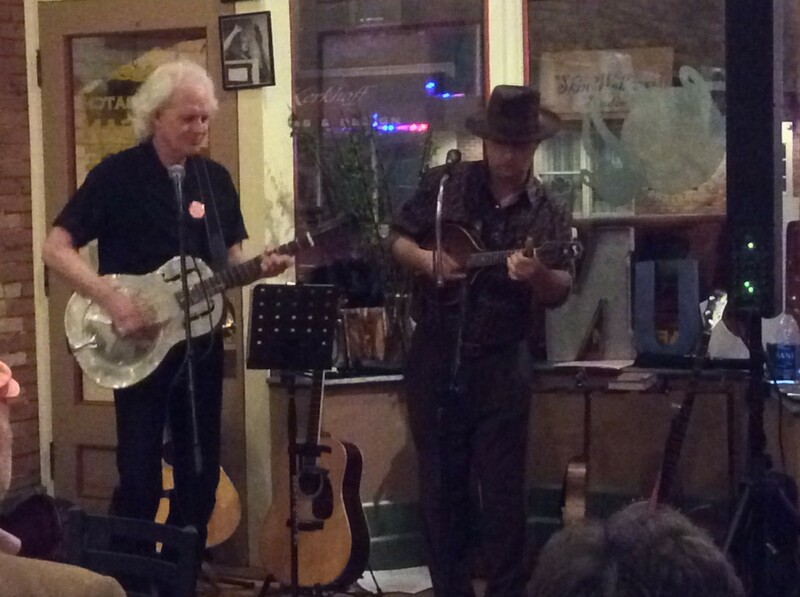 Lil’ Rev, Bucky Halker and JP Wright did most of the shows, joined by Anne Feeney and Jan Hammarlund on many stops and a veritable host of musicians for the Madison show. Photos from several shows are in the gallery. A preview of Bucky Halker’s forthcoming CD (which will be released in June) of Joe Hill’s songs was available at every stop — we will add it to the JoeHill100 store as soon as it’s available. David Rovics’ Joe Hill European tour concludes with three shows in Switzerland this weekend. John McCutcheon kicks off a tour celebrating the release of his new album of Joe’s songs, Joe Hill’s Last Will, June 5. Several shows are scheduled in California, with a June 19 show in Virginia. There’s a couple more dates set for late November in Madison, Wisconsin, and Maryland. We hope to release dates for the Southern and East Coast legs of the Joe Hill roadshow soon. The Joe Hill centenary t-shirts are available in our store (we’ll get photos up as soon as we can get someone to model them in decent lighting – there are some shots in the photo gallery, but they hardly do the design justice) in sizes ranging from small to triple XL. Coming soon are listings for songbooks, buttons, and more.